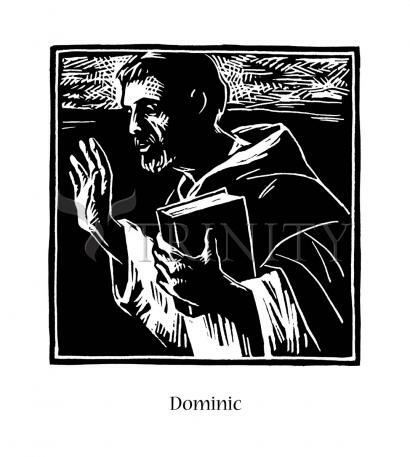 St. Dominic was the founder of the Dominican order, an important contributor to the religious and intellectual life of later medieval Europe. "Wherever he went he showed himself in word and deed to be a man of the Gospel. During the day no one was more community-minded or pleasant toward his brothers and associates. During the night hours no one was more persistent in every kind of vigil and supplication. He seldom spoke unless it was with God, that is, in prayer, or about God; and in this matter he instructed his brothers."